Many in the British Muslim community fear the UK government is waging a ‘Cold War’ against them under the guise of counter-terrorism and risks increasing radicalization, according to one of the most senior Muslim Conservatives. Referring mainly to new legislation on non-violent extremism, Warsi said that the political “small print” of security and counter terror policy was deeply disturbing. She delivered a stark warning that for many British Muslims there is an ingrained perception “that successive governments have pursued cold war-style policies against them. 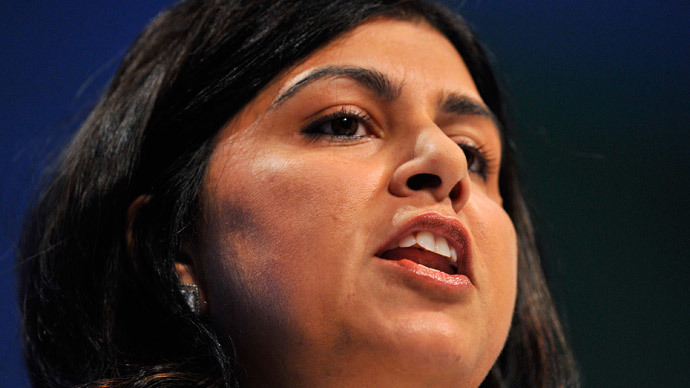 Until Warsi quit her job as foreign office minister last year over the UK’s handling of the war waged against Gaza by Britain’s regional ally Israel, she was the most senior Muslim politician in the country. She is not the first senior figure to question the efficacy of government terrorism policy. In January, a former British intelligence chief has warned the government’s Counter Terrorism and Security Bill could restrict freedom of speech in universities. Baroness Manningham-Buller said extremist opinions need to be “exposed, challenged and countered” rather than banned. Her comments followed a report by the Joint Committee on Human Rights earlier that month, which warned new counter-terrorism laws would “restrict” freedom of speech on university campuses.